Cassandra Rutherford doesn’t want the easy answer. That’s the reason she was drawn to engineering. This January, Rutherford joined Iowa State University (ISU) in the department of civil, construction and environmental engineering (CCEE). She is an assistant professor in geotechnical/materials engineering. In 2015, Rutherford received a National Science Foundation (NSF) Faculty Early Career Development (CAREER) Award. 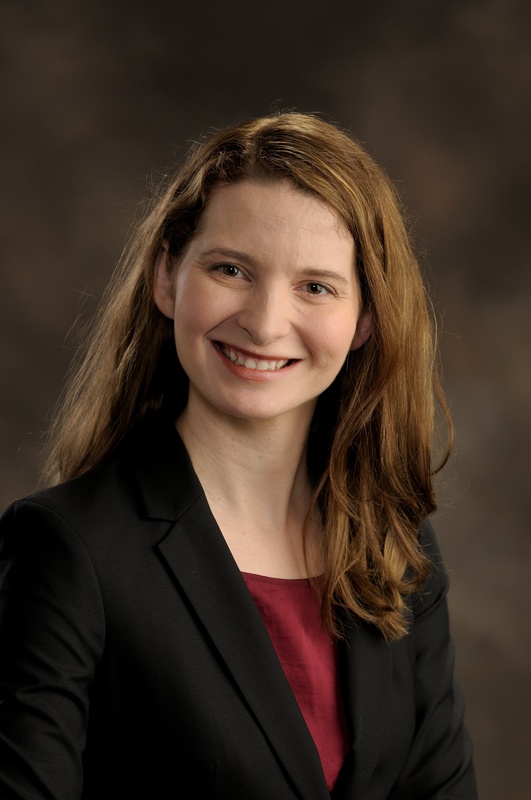 Her research, “Experimental Modeling of Tidal Current Turbine Foundations: An Integrated Research and Education Plan,” carries out a detailed study of tidal current turbines and their viability as a source of energy. This study includes evaluation of foundation systems for tidal current turbines, as well as laboratory and centrifuge testing of those systems. Her post-doctoral studies have centered on development of a first-of-its-kind multi-directional direct simple shear testing device. This one-of-a-kind device studies the response of marine soils to static and dynamic loading in offshore geotechnical engineering applications and hazards. Read more about Rutherford’s research. Rutherford works to engage students in learning and hands-on laboratory work. In 2012, she took part in the American Society of Civil Engineers (ASCE) Excellence in Civil Engineering Education (ExCEEd) workshop series as an ExCEEd fellow. She also plans for outreach to local elementary schools during her time at ISU. And in coming to ISU, Rutherford is eager to work on the “edge” of engineering. “The collegiality and the excitement about wanting to work together to answer questions that are on the edge of technology and on the edge of research is really exciting,” Rutherford said of ISU CCEE. To read more about Rutherford, visit her website. And make sure to stay up-to-date on ISU CCEE faculty research by visiting us online at www.ccee.iastate.edu, as well as on Facebook, Twitter, and LinkedIn (Iowa State University Civil, Construction and Environmental Engineering and ISUConE).